What made him stand apart was the finesse with which he balanced the menacing act with a tinge of sardonicism. When it comes to popular Hindi cinema, the equation for ascertaining great villains is straightforward - the greater the build-up and denser the paraphernalia, the higher the stature of the villain - and although Prem Chopra's name would undoubtedly be perched way high in the pantheon of greats, he isn't the first name that comes to mind when speaking of villains. Today, one might think of a Gabbar Singh (Sholay), Din Dayal aka 'Lion' (Kalicharan), Dr Dang (Karma) or Mogambo (Mr India) as few of the iconic Hindi cinema villains but just scratch slightly beneath the surface and it would be more than clear that the first truly iconic Bollywood baddie is someone beyond these fabled three. 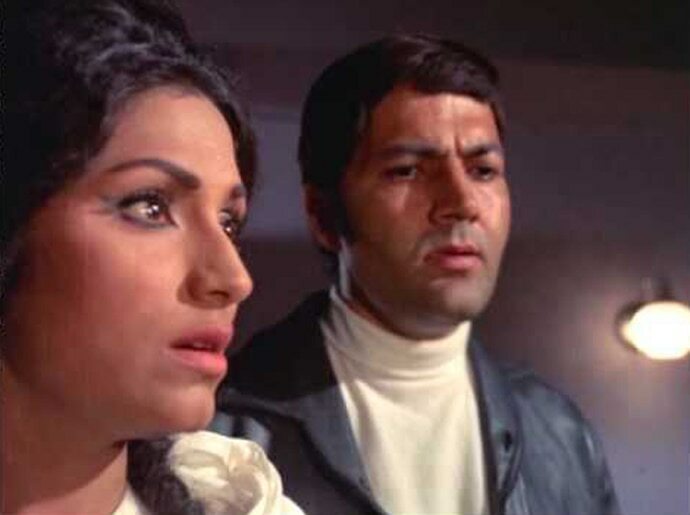 Prem Chopra with Bindu in Kati Patang. One of the most popular on-screen villains in Hindi cinema, Chopra not only ushered in the phase of the distinctive villain but also managed to carve a special place for himself without ever playing a stylised or larger-than-life villain. Nestled in between Pran, the quintessential baddie from the 1950s to the late 1960s, and Amjad Khan and Ajit, the mainstays in the 1970s, lies Chopra, who would perhaps be the first villain in Hindi cinema whose renown transcended the silver screen. The term villain in the context of Hindi cinema chiefly meant Pran for the longest time and the legendary actor played the perfect foil to every single hero right from Dev Anand, Dilip Kumar, Raj Kapoor to Shammi Kapoor, Sunil Dutt, Raaj Kumar and Rajendra Kumar across two decades from the late 1940s. Much like the films he was a part of, Pran's villainy, too, was largely formulaic and the narrative hardly gave him room to explore beyond a point. His catchphrase from Bobby, "Prem naam hai mera, Prem Chopra" catapulted him into a league of his own. Perhaps, in order to make up for the seeming flatness of his characters, Pran played around with their physicality and indulged in embellishments such as wigs, lens, et al, but there was hardly anything unexpected that came out of these performances. Towards the late 1960s, Pran underwent an image change with Manoj Kumar's Upkar (1967) where he played Malang Chacha, a village elder, who helps Bharat (Manoj Kumar) understand the futility of relationships in the grander scheme of something called life, and with the song Kasme vaade pyar wafa (Singer: Manna Dey, Lyrics: Indeewar, Music: Kalyanji-Anandji) added a new dimension to his on-screen persona. Ironically enough it was the same film that featured Prem Chopra in one of his earliest breakthrough roles as a villain. By the time he featured alongside Pran, Chopra had more than made a mark and was a popular face thanks to films like Woh Kaun Thi (1964), Shaheed (1965) where he played the martyr Sukhdev, Teesri Manzil (1966) and Do Raaste (1969). 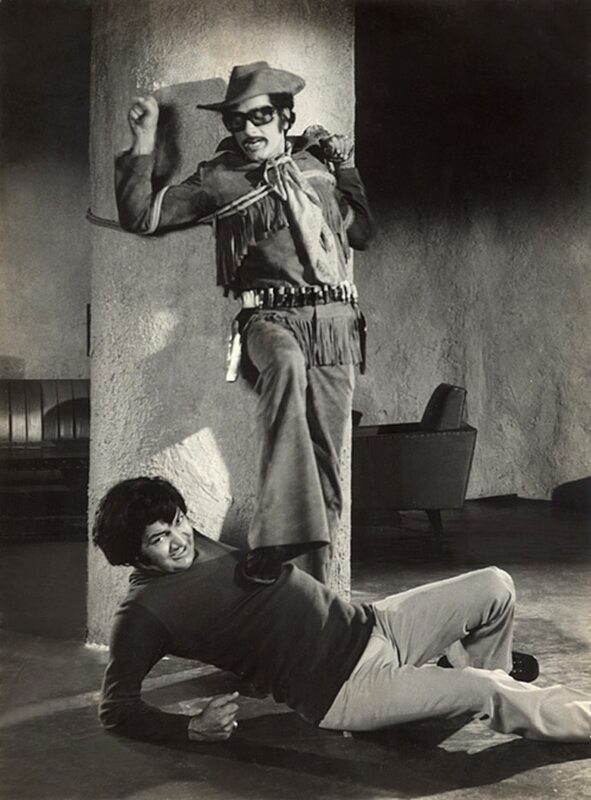 Chopra was comfortable playing the straight-out bad guy or the well-etched misguided individual such as the ones in Upkaar and Do Raaste, but it was with Kati Patang (1970) that he took over the baton of the specialist villain from Pran. Prem Chopra's evil characters didn't rely on henchmen to do the dirty work. Unlike the arch villain that would arrive with Vinod Khanna's Jabbar Singh in Mera Gaon Mera Desh (1971) and followed by the Gabbars, Loins, and Shakaals, Chopra's bad guys were regular people with a menacing streak. His Kailash from Kati Patang looked as normal as the hero but with a simple twitch of the eye or a volley of words such as "Kailash khud nahi sochta, dusron ko majboor karta hai sochne ke liye" could make his intentions more than clear. While Kailash gave him stature, Bobby (1973) bestowed him with screen immortality. His catchphrase from the film, "Prem naam hai mera, Prem Chopra" catapulted him into a league of his own. That same year also saw Ajit play Teja, the suave businessman with a killer hidden deep within, and Shakaal, the high gadgetry obsessed killer in white who wore shoes of two different sizes on each feet, in Zanjeer (1973) and Yaadon Ki Baraat (1973) respectively, but it was Chopra with a dialogue that featured his name outshine every other meanie. A few years later Sholay's Gabbar Singh would transform the idea of the villain and the stage would be proliferated with newer villains like Amjad Khan, Ranjeet, Kulbhushan Kharbanda and Amrish Puri, but Chopra would continue to be one of the most sought after antagonists. What made Chopra stand apart from the bevy was the finesse with which he balanced the menacing act with a tinge of sardonicism. Take for instance his Ronjit Malik from Do Anjaane (1976) where he starts off as a charmer who sweeps his friend Amit's (Amitabh Bachchan) wife Rekha (Rekha) off her feet and diabolically plots to bump him off in order to take his place, but Rekha becomes a film star and he ends up being her hapless business manager. The role saw Chopra switch from being a flirt to the devil incarnate to the henpecked admirer and fetched him the Filmfare for Best Supporting Actor as well. His one-liners weren't Danny Denzongpa-esque battle cries such as "Iski maut soochni padegi!" (Ghatak (1996)) or "Yahan gaddari ki sazaa sirf maut hoti ha, maut" (Hum (1991)) but more observational and life lessons like "Main jo aag lagata hoon use boojhana bhi jaanta hoon" from Kati Patang or "Main woh bala hoon jo sheeshe se paththar ko todta hoon" from Souten (1983), or Kranti's (1981) "Shambu ka demag do-dhaari talvar.' It could possibly be this trait that blessed Chopra with longevity and unlike Ajit or Amjad Khan whose best was limited to the 1970s and early 1980s, Amrish Puri who couldn't transcend into the 1990s and Anupam Kher who could never match his own Dr Dang. Chopra continued to spout venom for almost three decades beginning in the mid 1960s. He was very effective in the 1990s, too, thanks to some kitschy one-liners - "Sharafat aur imaandaari ka certificate ye duniya sirf unhe deti hai jinke paas daulat hoti hai' from Aag Ka Gola (1990), "Bhains poonch uthayegi to gaana to nahi gayegi, gobar hi degi" Aaj Ka Arjun (1990), "Tu Madhuri se thodi kum aur Mandakini se thodi zyada hai" from Aaj Ka Goonda Raj (1992), "Rajneeti ki bhains ke liye daulat ki lathi ki zaroorat hoti hai" from Khiladi (1992). "Kar bhala to ho bhala" from Raja Babu (1994) and "Nanga nahayega kya aur nichodega kya" from Dulhe Raja (1998). Unlike the two Shakaals (Ajit in Yaadon Ki Baraat and Kulbhushan Kharbanda in Shaan (1980)) Chopra's on-screen evil didn't rely on gizmos, unlike Jabbar, Gabbar, Lion, Mogambo, Dr Dang. His characters didn't rely on henchmen to do the dirty work and he never needed wicked names like Gama Mating (Yudh (1985)), Dong (Tahalka (1992)), Ajgar Jurrat (Vishwatma (1992)), Chatur Singh Chita (Krantiveer (1994) or Katya (Ghatak (1996)) to send a shiver down your spine. What's more, all he needed to become one of the greatest villains ever seen in Hindi cinema was to just say his own name! 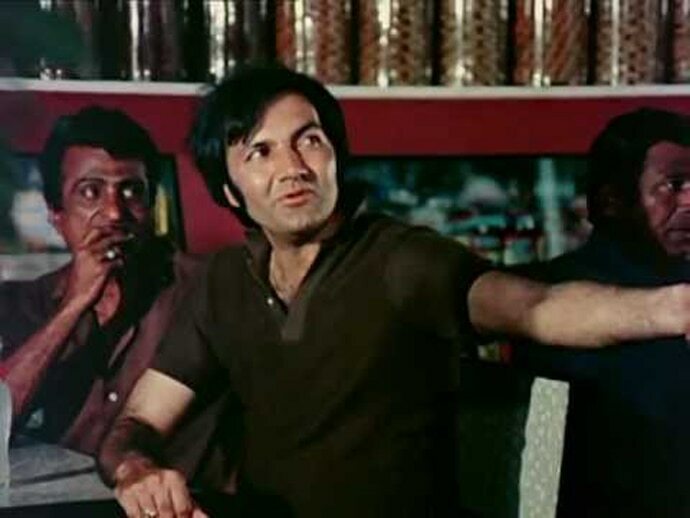 - Prem Chopra turned 80 on September 23. Cinephile, observer of society and technology and author of the of Dark Star: The Loneliness of Being Rajesh Khanna.